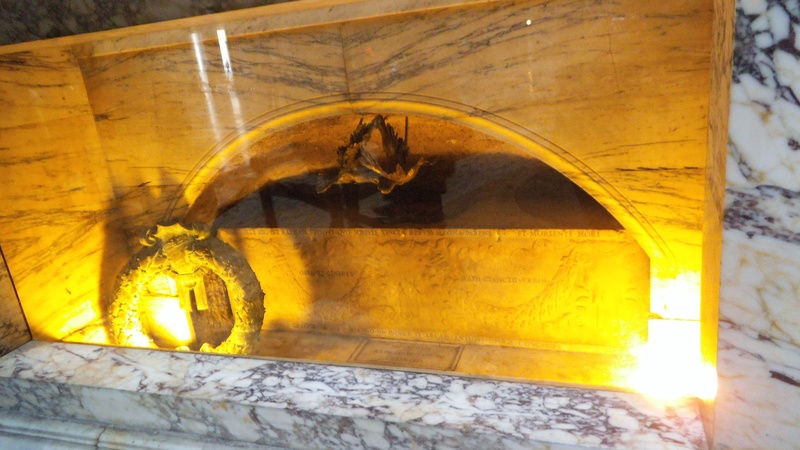 Adventures in Italy…Post 20: “Angels And Demons” ~ The Blog Post! I am of course referring to the book “Angels And Demons,” written by Dan Brown. The book then became the movie directed by Ron Howard, and starring Tom Hanks. I read Angels and Demons shortly before our first trip to Rome in 2008. It was a fast paced thriller that kept me reeling until the end. The internet site that we booked our Rome trip through, Expedia, also featured a tour based upon this book. 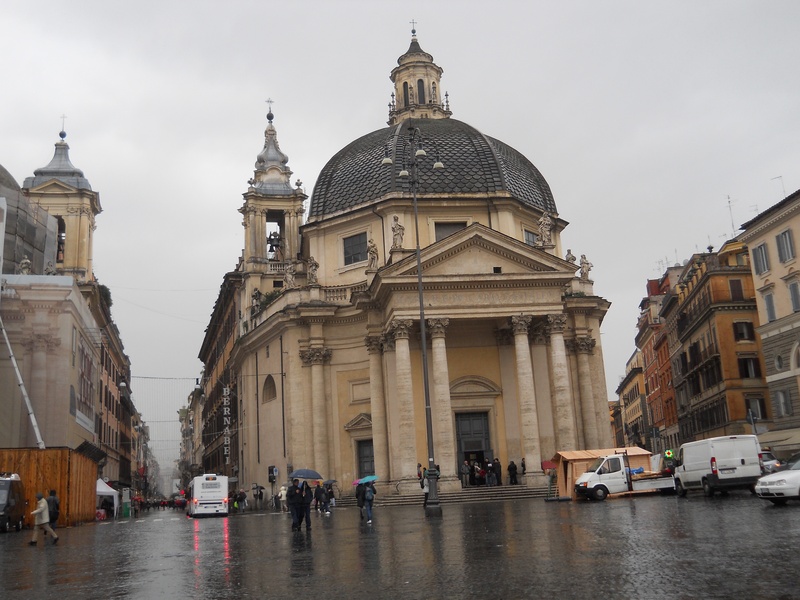 The tour would take you through the major sites from the movie, which would include Piazza Navona, Castel Sant’Angelo, the Vatican, Piazza Del Popolo and the Pantheon. The problem was the cost. The tour agency was charging €150 for this tour that would last only four hours. €150 at that time would amount too $200 at least. When it comes to getting about in Rome, if they can get you to all these sights in only four hours, chances are, you’ll only get an outside visual on some of them and then be forced to move on. And so I was determined to see as many of the sites as I could ‘Ala carte’ if you will. Fortunately I did get to see most of the sites. However, due to scheduling problems, I did miss the Santa Maria Della Vittoria church which you will remember as the scene of the big fire. We got there just after it closed, and it would not reopen for another four hours. And we did not get to Piazza del Popolo on that trip either. As it turns out, the movie itself finished shooting several months before we arrived in 2008. When I first saw the movie I was very pleasantly surprised. 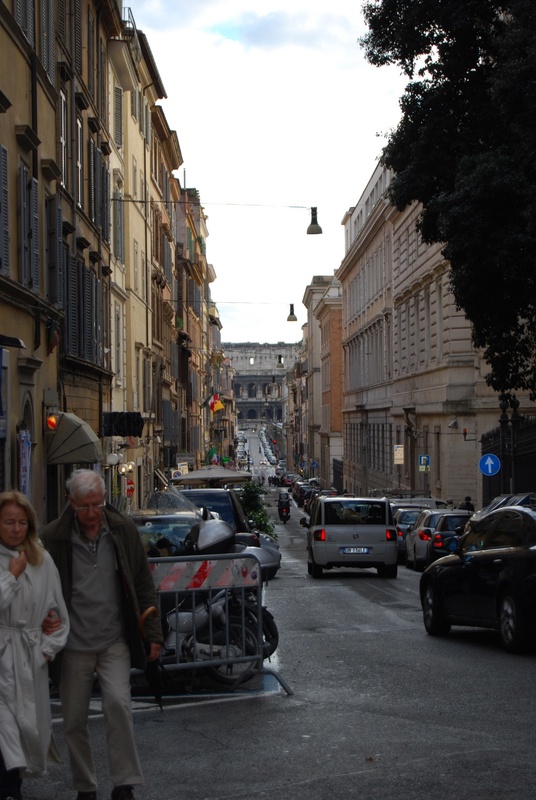 I feel that they caught the essence of Rome quite well, especially the street scenes. Watching them was like being back in Rome. I got all sort of misty as it felt like I was really there. I could almost smell the noxious street fumes. The only part where I took exception to was how they shot the scenes when Tom Hanks was standing outside the Pantheon with the Vatican officials deciding what to do next. 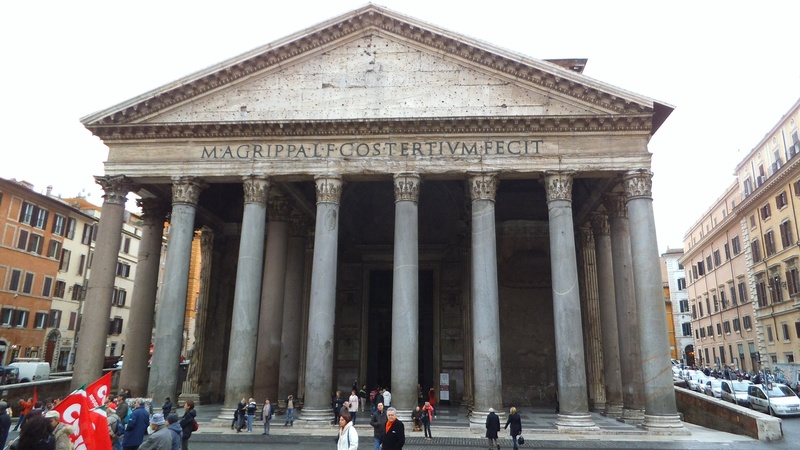 Now, the Pantheon is located in a Piazza like square. Not a city street. There is no street traffic allowed at all with the exception of a horse and buggy, and maybe a Vespa looking for trouble. The computer graphics were outstanding, seeing as filming was not allowed on what the Catholic Church deemed as Holy Ground. The colours were spot on, and perhaps bigger and brighter than in reality. You see the Pantheon’s interior is a kaleidoscope of amber yellows, and hues of sienna. Then there are the bright tawny pigments the likes I had never seen before. Even our Nikon 40D didn’t pick up the distinctive tones of ochre and cascades of gold that cannot be found anywhere else, at least as far as I’m concerned. 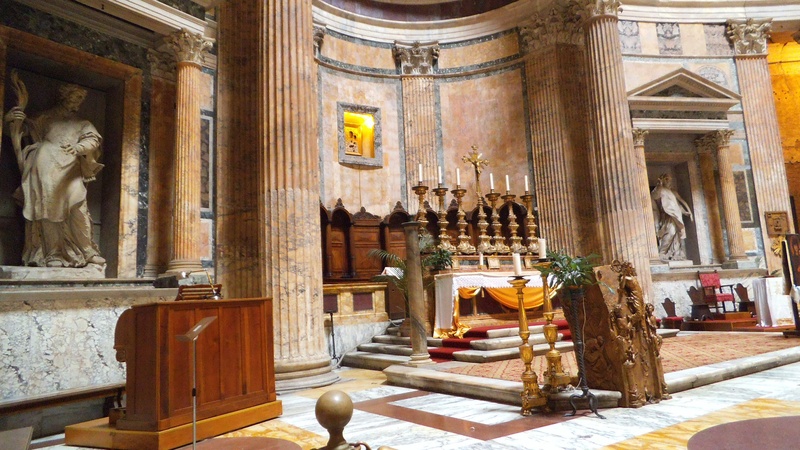 And so, aren’t you now a little bit curious about this lavish splendour of the Pantheon? You should be, because it is the oldest church in the world which went from pagan to Christian within one hundred years as a result of emperor Constantine’s conversion. 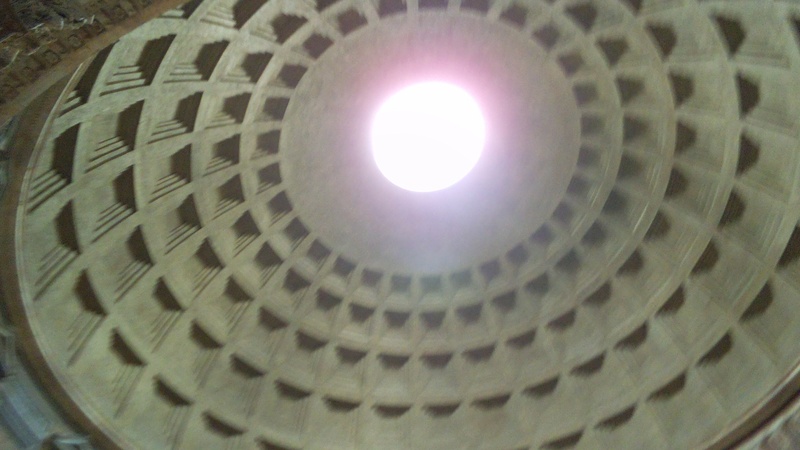 Lucky for you that now you don’t have to travel to Rome to take in the Pantheon’s exquisite internal beauty. You just have to watch the movie! And don’t even get me started on the oculus…. ***Photo at top of page is the major fountain in Piazza Navona. 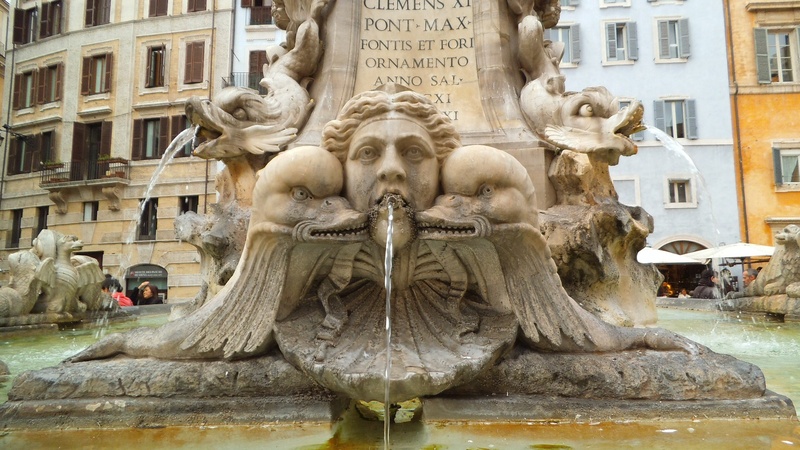 For those of you who have seen the movie “Angels And Demons”, this is the same fountain from the scene where one of the Cardinals was left to drown.